In a study released by the Center for Diseases Control and Prevention (CDC), most exposure to secondhand smoke happens inside homes and workplaces. In the same research, CDC claims that second-hand smoke can cause numerous problems including ear infections, respiratory problems, and frequent asthma attacks. If completely eradicating cigarette smoking in your home is impossible, you can also use the help of powerful air purifiers to remove these toxins. There are numerous air purifiers in the market today, but there are quite a few that can effectively take care of smoke and cigarette smell. This air purifier is one of the ultimate that you can get if you have bigger rooms in your home. Winix 5500-2 True HEPA Purifier comes with a powerful 3 stage air filtration system which will completely remove all traces of smoke and cigarette smell in your home. The CADR rating for this appliance is 243 for dust and 232 for tobacco smoke and can operate in rooms as big as 360 sq.ft. This model utilizes PlasmaWave Technology. 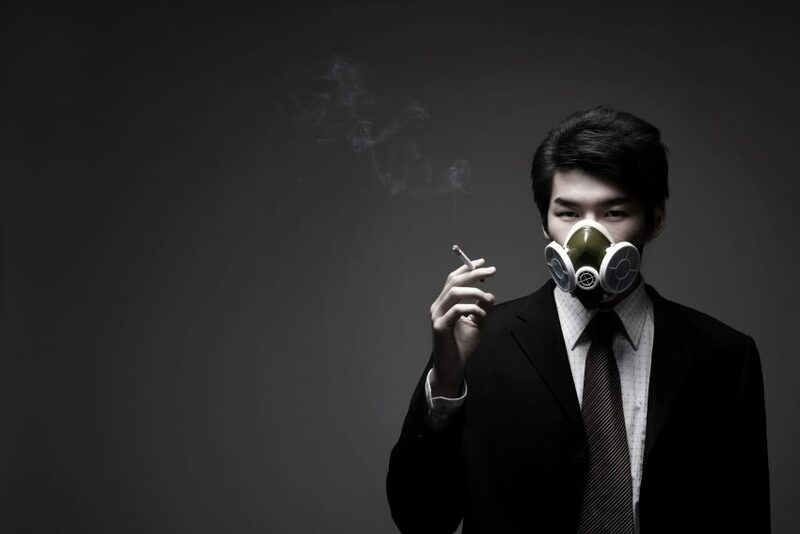 A unique feature that breaks down pollutants including smoke and chemical vapors. These particles are turned into water vapor, so you and the rest of your family will never inhale bad chemicals. It also comes with numerous other useful features including Smart Sensors, 4 fan speed options, an Auto-Dim Feature, and filter replacement indicator. Blue Air is another highly recommended brand if you are looking for an air purifier that can kill smoke and cigarette smell. BlueAir comes with the HEPASilent Technology, a filter system that is robust enough to destroy 99.97% of particles that are 0.1 microns and larger. That makes it among the most effective air purifiers available. One of its more modern features is the WiFi connectivity, allowing it to be integrated with Alexa voice controls and IFTTT. This appliance will do extremely well in very large rooms with an area of up to 800 sq.ft. This model comes with an impressive CADR rating of 350 for dust, pollen and smoke. BlueAir 605 HepaSilent is known for its quiet operation, a good deal if you need to keep your machine on all night. It also includes a filter change timer, which is a helpful feature if you are always busy and want to make sure the air in your home stays healthy. Families with Asthma patients will love the Whirlpool Whispure Air. This machine has an excellent reputation including a 3 stage filter system – including a pre-filter, carbon, and true HEPA. The carbon filter is highly efficient in removing smoke and odor in your home. The HEPA filter will eliminate any remaining allergens in the air. It removes as much as 99.97% of allergens in the air. Whirlpool Whispure Air can work in a room area of 500 sq.ft. and can clean the air 4.8 times every hour. This model comes with a programmable timer which is a useful feature if you want to create a schedule for turning your purifier on and off. This unit is a great compromise for those that are budget conscious but still need something to keep that second hand smoke from affecting their health and happiness. Smoke and cigarette smell may never be eliminated completely from rooms but using a powerful air purifier will help decrease the amount of this pollutants. These 3 air purifiers are some of the most recommended because of its powerful and reliable air cleaning system.